Although Kombucha has enjoyed a resurgence in popularity in recent decades, many Kombucha myths persist. Its unique flavor and benefits have propelled it to the forefront of trendy tonics, but the origins and true nature of Kombucha remain a mystery to most drinkers and even brewers. 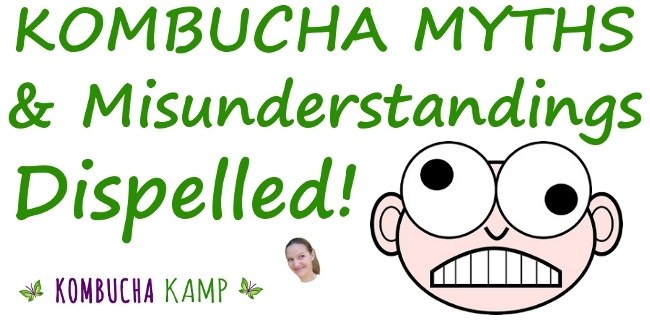 MISUNDERSTANDING #1 – Kombucha Cures Everything! Kombucha is NOT a panacea! In fact it doesn’t cure anything. FALSE – Kombucha doesn’t cure anything! It contains healthy bacteria and yeast, important B vitamins, and a variety of acids that help the body recover its natural healing ability. Kombucha returns the body to balance through detoxification and improved digestion. Once in balance, the body’s innate immune system takes over and is able to heal itself. More about Kombucha Benefits here. If you have a compromised immune system, consult your physician prior to consuming Kombucha. Ease it in gradually so the body has time to adjust (4oz in the morning). Many people have found that drinking Kombucha has been effective in reducing the amount of time needed to heal and in minimizing the negative effects of pharmaceuticals on the body. How Much Kombucha to Drink? MISUNDERSTANDING #2 – Kombucha is a Mushroom. FALSE – Kombucha is not mycelia nor is it a fungus. It is a Symbiotic CULTURE Of Bacteria and Yeast (SCOBY for short). The bacteria and yeast build a cellulose structure where they live together symbiotically. 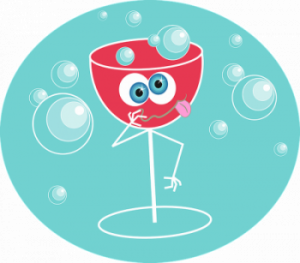 The yeast ferments the nutrient solution creating alcohol which the bacteria then convert into healthy acids that help the body. More about the Kombucha SCOBY here. 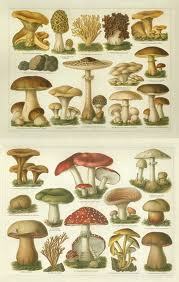 Many people think that the culture looks like a mushroom, hence the misnomer. We even wrote a whole post about this most persistent of Kombucha myths: Kombucha is not a mushroom! The zooglea (“living skin”) forms in order to allow the Kombucha to engage in both aerobic fermentation and anaerobic fermentation. The culture is covered with a cloth to allow oxygen to circulate. As the fermentation process continues, the zooglea grows to cover the entire aperture of the vessel creating an air-tight seal for the anaerobic fermentation. MISUNDERSTANDING #3 – Kombucha Makes Me Feel Drunk! FALSE – Okay first, there are high alcohol Kombucha brands on the market, such as Unity Vibration and Boochcraft. And yes, of course these can get you drunk! However, those brands are actually beers to which special yeast have been added to up the alcohol production. Traditional Kombucha production limits the yeast to lower alcohol producing types, which is what we are discussing here. The most important information to understand is that ethanol content for most Kombucha is very low. Similar amounts of naturally occurring alcohol can be found in raw fruit juices, sodas, soy sauce, and other household products. The process of fermentation of Kombucha is two-fold. During the aerobic fermentation, the yeast get to work on the sugars first, breaking complex sugars into simple ones, and those simple sugars into acids and small amounts of alcohol. Then, the bacteria feed on some of the simple sugars and the alcohol which gets converted into gluconic and other healthy acids. However, not all of the ethanol produced by the yeast is able to be consumed by the bacteria thus leaving a slight amount. Although it is a very small amount, those who are highly sensitive to alcohol could experience a “temporary euphoria.” That said, the b-vitamins present in the beverage could be leading to a similar reaction to a b-vitamin shot. Admittedly, this can get more confusing because there is an “over-21” distinction for some low-alcohol Kombucha on the shelves. This is because some naturally fermented commercial Kombucha brands have been shown to have greater than .5% alcohol by volume (ABV). Unflavored, mature KT has naturally low alcohol levels (.2-.6% ABV). The alcohol level can increase during secondary fermentation, when fruit juice is added and reactivates the yeast, especially if the bottle is allowed to get warm and has lots of sugar remaining in the brew and fruit or juice. Some companies choose to alter the Kombucha brewing process to avoid this issue. Others simply call their Kombucha “over-21” to allow for making it the traditional way. Either way, the low levels of alcohol in most traditionally fermented Kombucha is non-inebriating. In fact, many swear by Kombucha’s ability to quell desires for alcohol, as well as alleviate caffeine addiction. The energy boost from improved digestion does the same trick as coffee without the crash, making Kombucha a great afternoon pick-me-up. *Note for those with alcohol addiction issues – obviously, this can be a complicated issue for some people and Kombucha Kamp is not in a position to offer medical or therapeutic advice of any kind. Some who face this challenge have said in our Facebook group that Kombucha helped reduce their cravings or had no affect on them. Others have not felt comfortable consuming a beverage with any alcohol content, even only .2 – .8%. The choice is a personal one. 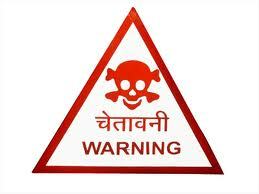 MISUNDERSTANDING #4 – Brewing Kombucha at Home is Dangerous! FALSE – Some people claim that Kombucha has to be made in sterile facilities with climate controlled brewing rooms by properly trained professionals. While that kind of cleanliness is always important in commercial production (yes all KKamp Fresh Live Cultures are produced in a fully inspected commercial facility! ), home brewing does not require this level of care. What you may not realize is that Kombucha is antiseptic! Kombucha is at a pH where harmful bacteria and microorganisms cannot live. You can use it to wash windows, disinfect counter tops and to clean out wounds. 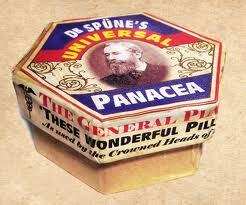 It speeds healing from cuts or burns and prevents infection. However, it is important to educate yourself in safe brewing methods. Kombucha mold is quite rare and easy to spot. It occurs if the culture is not able to reach the pH of below 4.0 prior to being exposed to a contaminant. It looks exactly like the mold you see on bread; fuzzy and blue or black. If mold is identified on the culture, immediately throw everything away; the KT (Kombucha tea) and the culture must be disposed of as there is no way to “save” a moldy culture. Good thing you’ve got a back up in your SCOBY Hotel! More Kombucha Brewing Safety Tips Here. MISUNDERSTANDING #5 – Kombucha is Expensive! 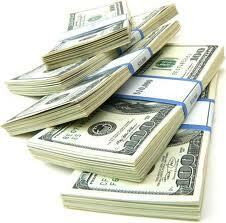 FALSE – Like many things in life, if you can make it yourself at home, you can save loads of money. The main ingredients in Kombucha are inexpensive and readily available. With a minimal investment of time and energy, you can make a lifetime supply of Kombucha for pennies on the dollar. Especially if you decide to try the Continuous Brew Kombucha Method, which is the easiest way to brew at home. But even if you start with Batch Brew Kombucha, the process is simple and inexpensive once you have the equipment. Check out the Kombucha Kits and CB Packages here for more info on getting started. We are nature. As much as we think we are in control through using air conditioning or heating, turning on lights, building boxes to live in, or driving around in boxes, there truly is no separation between humans and the sky, the sun, the air, and the water. Whether we are conscious of it or not, we already live in symbiosis with the Earth. It is time to awaken to how our actions affect the world around us. Kombucha provides an opportunity to raise our awareness of the benefits we receive when living in harmony. Bonus Misunderstanding: Batch Brew Kombucha vs Continuous Brew Kombucha – Which is best? Many new Kombucha homebrewers start off their adventure with a single batch brewed in a one gallon glass jar. This is the classic image of Kombucha brewing on the counter. They want to dabble first and see if they like making their own. But then something happens. Almost right away, a second jar pops up, containing Brew #2. A third jar appears, a SCOBY Hotel. Now another irregular jar appears, larger in size. More and more as the desire to expand the operation grows. Batch Brew can allow for experimentation to find your perfect recipe. Trying different types of teas or sugars is a common way to determine what you enjoy most. This is a wonderful and natural progression that many have followed as they fall in love with the process! Some never quit doing it this way. But Batch Brewing has drawbacks. It can be messy, the jars are heavy, and it’s easy to forget about the Kombucha for awhile. On the other hand, there are a lot of people who prefer convenience and simplicity. Plus they want to make a lot of booch to drink, and they want it fast! For them, the best choice is Continuous Brew, or CB as we call it. CB allows you to make more Kombucha in less time using a larger vessel. CB also means less maintenance between batches and less hassle at bottling time. The drawback would be less flexibility to try other teas or sugars, or experiment with other ideas. But you can always start a Batch Brew on the side while enjoying your CB. Many people do both!